In pictures like this one, the scale is crucial. 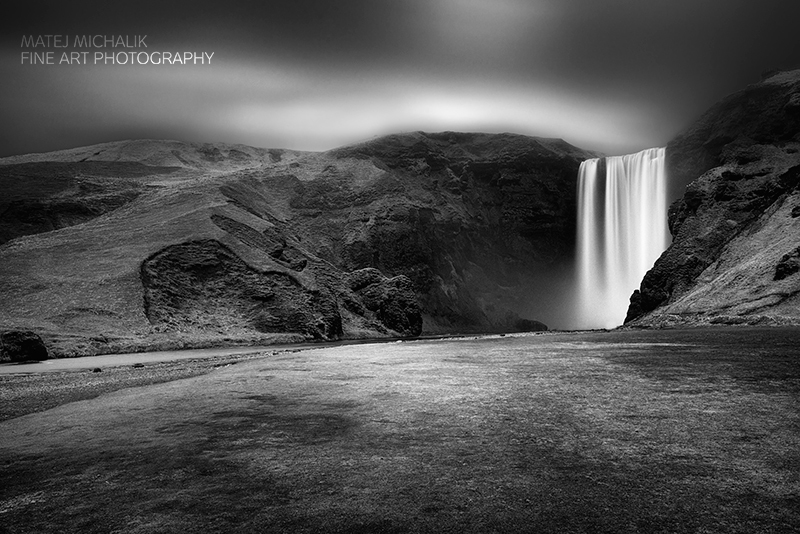 Skógafoss is one of the biggest waterfalls in the country with a width of 25 metres (82 feet) and a drop of 60 m (200 ft). 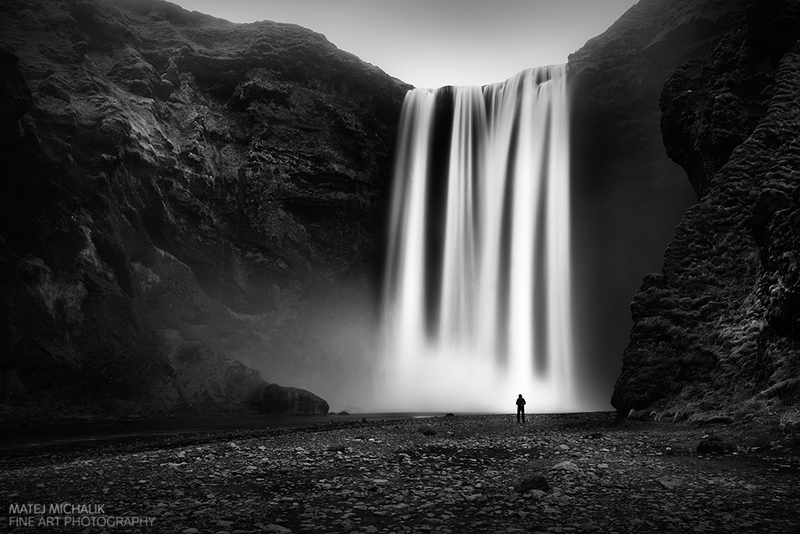 By placing someone in the photograph, the true scale and depth of the scenery is visible. In this particular photograph, if I had not included someone in the photograph, the photo would be deceptive. I would like to thank Veronika for kindly participating in this photograph. Her cooperation helped me achieve the result I wanted. In order for this kind of photography to be possible, the object in the photograph must remain completely still for 25 seconds. This helps achieve the moving motion in the photograph. You can learn more about it in the: Guidelines for Long Exposure Photography equipment and accessories. If you would like the buy one of my fine art prints, don’t hesitate to contact me. You can view all my Black and White images in my gallery.